This blog post is way, way overdue. It's been a very long time since we posted a dual citizenship update (as in March 2011!). As I mentioned in a recent blog post, the short story and good news is that both I and Livia are dual citizens. The long story is that it took a very long time to get done. My citizenship was only finalized back in May. So, what took so long? The honest answer is that once we moved to Italy we quickly gave into the Italian pace of getting things done. 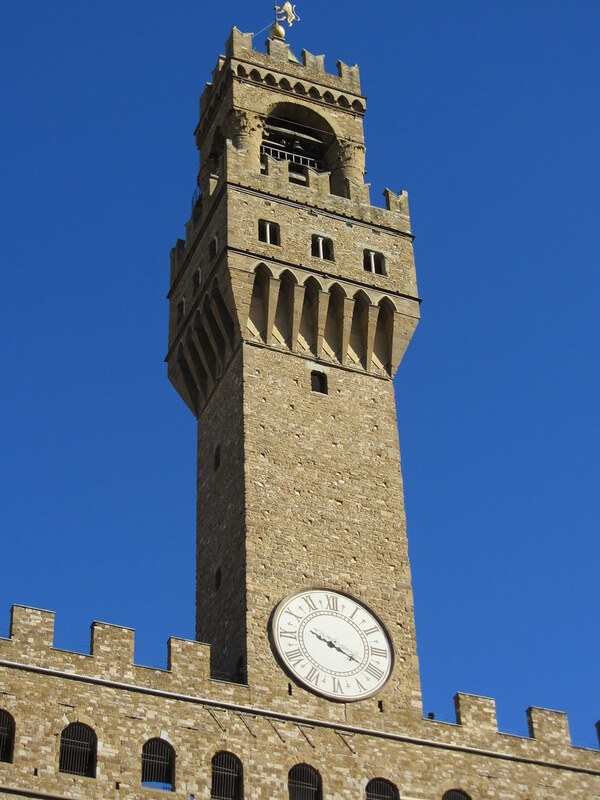 We generally had 3-4 months between every visit to Palazzo Vecchio (where the citizenship office is located) to drop off updated documents. We never really tried to rush things along. With no plans to move back home and a permesso di soggiorno there wasn't any good reason to rush the process. So long as we were living here legally it didn't really bother us to wait for the citizenship. Updating documents: I came over with every document you can possibly imagine. In fact, many documents ended up not being needed. The documents they did need, however, needed to be to their exact specifications. Over the course of the 16 months it took to get citizenship, I had to request updated 2-3 documents with the details exactly how Palazzo Vecchio wanted them. Each request in the U.S. took about 2 months and then once the updated versions arrived I would bring them back in for review. Following their lead: I did everything they asked me to do. To their exact specifications. I can't emphasize this enough. I cringe when I read message boards or emails from our readers talking about how the folks at the consulate or commune are "being difficult" and they are fighting back. These people have the final say in your citizenship. You are only hurting yourself if you argue with them. Do what they say and do it with a smile. The long wait: If you are in a rush to get your citizenship and want to do it in Italy, I don't suggest trying it in a big city like Florence. It was just a slower process. If my documents had been 100% to their liking, it still would have taken 6 months. Some people have applied in smaller towns and managed it in 2-3 months, but it won't happen in cities like Florence, Milan or Rome. As I mentioned before, the wait didn't bother us, but I could see how it might frustrate others. The baby influence: I'm not going to lie, once the citizenship office knew I was pregnant they were very clear with me about what I needed to do to wrap up the process. They knew -- like I did -- that things would be 1,000x easier for Livia if she was born with Italian citizenship. Everything has been a cinch because of the citizenship. In fact, she was "only" Italian for the first 6 weeks of her life until we made it to the American consulate! The biggest surprise: Toward the end of the process, one of the biggest challenges was…MY birth certificate. Yes, you read that right. After stressing about 80+ year old documents, it turned out my birth certificate was a cause for concern. In Pennsylvania, a township can be a place of birth and the citizenship office was confused by this. Why? Because I always list the town I was born in as my place of birth and not the municipality. Once we worked out this confusion, it was smooth sailing. "The hard is what makes it great": (To quote Jimmy Dugan in A League of Their Own) At the end of the day, I think it's good that they really make us work for dual citizenship. It's a huge honor and privilege to gain Italian citizenship and I appreciate that they don't necessarily make it easy. I feel like I earned it. I first walked in to Palazzo Vecchio in January 2011 and I walked out in late May 2012 with my citizenship. I got my new carta d'identita later that day and, I'm not going to lie, seeing the "Italiana" listed on it made me giddy. After nearly 3 years of research, records requests and the formal application process, I was official!